Chances are if you are reading about hypoallergenic cats, then you are trying to figure out a solution to getting a cat as a pet and not having to battle allergies. It is inevitable that animals who shed can cause allergies, all that hair collects dander and creates the perfect breeding grounds for allergens. The good news is, that there are hypoallergenic cats that allow you to not only have your furry feline friend, but also not suffer from all the allergy side effects. The dander in the fur is a large part of the allergy issue, but there is also another factor at large when it comes to cats. There is a protein called Fel D1 that is found in cat saliva. When the allergen filled saliva dries and becomes airborne, it increases the likeliness that you will suffer from an allergic response. Below you will find different cat breeds that are considered hypoallergenic. Remember, that no cat is 100 percent hypoallergenic, but some breeds are close to it! These cats look like the last possible cat that could be hypoallergenic. Don’t let their beautiful fur coat fool you. These cats produce a very small amount of the protein Fel D1, so the allergic responses are significantly lower. These cats are considered non-allergenic cats because their fur is so short and doesn’t collect a lot of dander. It is important to groom them every once in a while, to ensure a buildup of fur balls doesn’t begin to occur. If you catch the loose hairs before they fall off, they will collect far less dander. This cat has a beautiful medium length fur coat. It is a single coat that isn’t super thick, so it doesn’t mat. The combination of the thickness and the fact that it doesn’t mat makes it less likely to collect dander and cause the Fel D1 protein to collect. 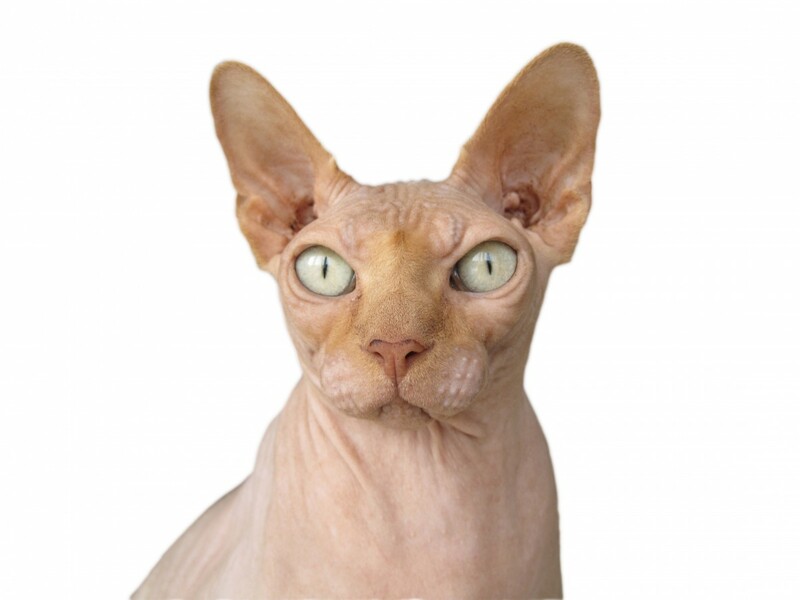 When you think of a hypoallergenic cat you probably envision one of those furless cats. Well this breed is probably a mirror image of the one you have created in your head. This cat has little to no fur, so allergens are far to none. The biggest upkeep with these cats is that they need frequent baths to help control the buildup of oil on their skin. The Siberian cat is a long-haired beautiful cat. You wouldn’t think that a long-haired cat would be hypoallergenic, but it also possible. The reason this cat can be considered hypoallergenic is because they shed very little, have little dander, and have a low level of the Fel D1 protein. Before you get a hypoallergenic cat, it is advised that you spend some time with one before you make the plunge. By doing this you can ensure that your allergies don’t flare up when surrounded by that specific breed. If you come out symptom free, you may have just found yourself a new 4 legged friend.